Last summer I was enjoying what was probably my second or third energy drink of the day, I took a moment to ponder the ingredients. It could have been a Red Bull, Monster or a Rock Star. 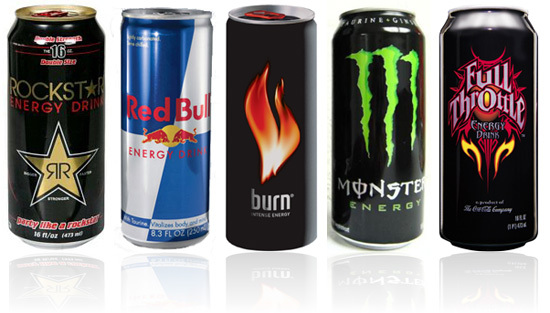 I am not really sure which one, but they are all fairly similar and I was drinking about 2-4 a day, joking that’s where I got all my energy. I also stopped to think about the written warning on the can – that daily consumption should be limited to 3 servings, and it is not recommended for pregnant women, children under 10 years old, or people who are sensitive to caffeine. At that moment I decided I didn’t want these drinks anymore and later learned about the results of a study conducted in 2008 that showed that the ingestion of one, 250ml can of sugar-free Red Bull, in a sample of 30 healthy young adults, had an immediate detrimental effect on both endothelial function, and normal blood coagulation. This temporarily raised the cardiovascular risk in these individuals to a level comparable to that of an individual with established coronary artery disease (ref “Heart, Lung and Circulation : Acute Effects of Red Bull on Platelet and Endothelial Function”). I have also since learned that some of the ingredients in the drinks are harmful. Sodium benzoate has been linked to cell damage and hyperactivity, and while aspartame has been approved by the FDA, there is some evidence that it is not safe and we all know that scientists can be influenced by an agenda (climate change??). Here’s the cool thing. My energy levels never dropped an iota, so I didn’t need the drinks to augment my energy anyway. They might give you a temporary adrenaline rush immediately after drinking, but they are virtually useless the kind of sustained boost of energy that you get from eating a balanced diet and complex carbs. The whole thing is a kind of a scam and I am glad not to be part of it anymore. Posted on: February 11, 2010 Comments: 1 Comment - Leave a comment!